Daddy would load the family up in the Country Squire wagon once a month or so, and we’d take the 30 minute drive south near Williamsburg to pick up a few racks of ribs. There was no barbecue restaurant open for business in the Tri-Counties, and only a handful of people had pits in their backyards. 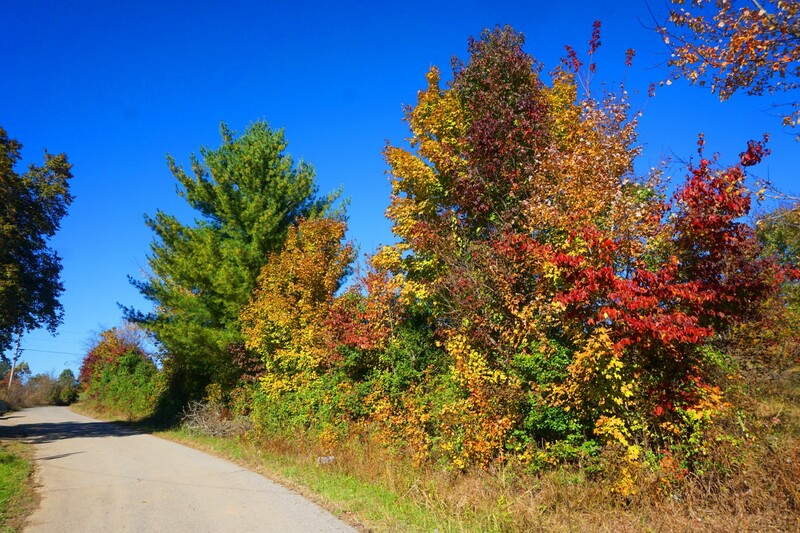 Eastern Kentucky has been slow to warm to trends for centuries. 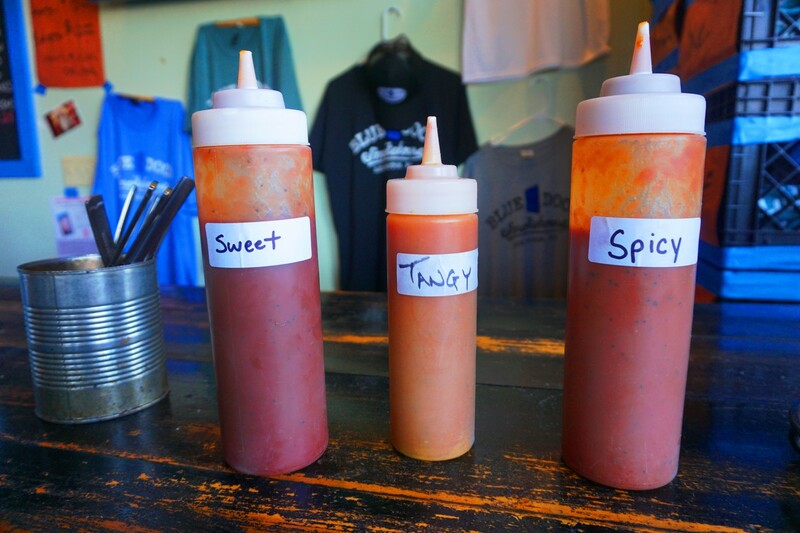 According to Kentucky barbecue authority Wes Berry there are eight barbecue regions in the commonwealth. Western Kentucky is the buckle of the ‘mutton belt,’ that famous U.S barbecue zone that focuses on the meat of aged sheep. 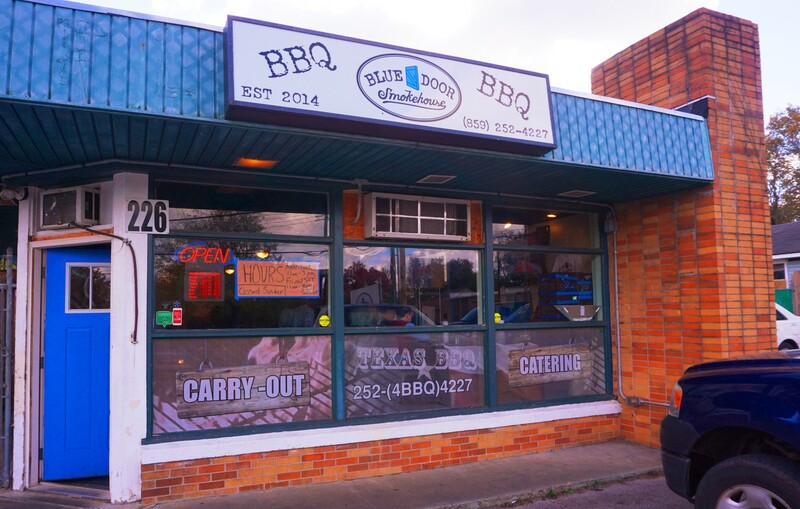 As you head eastwards you’ll eventually come to Lexington in the heart of the Bluegrass, and until recently not exactly known as a smoked meat mecca. 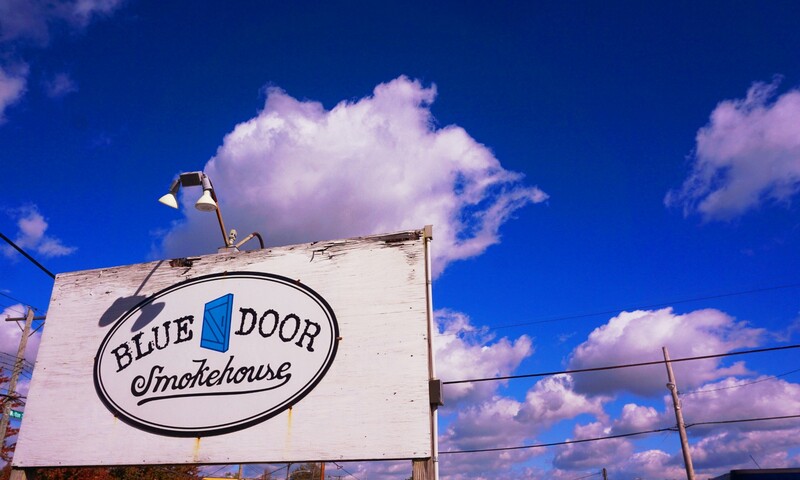 Blue Door Smokehouse is changing that. 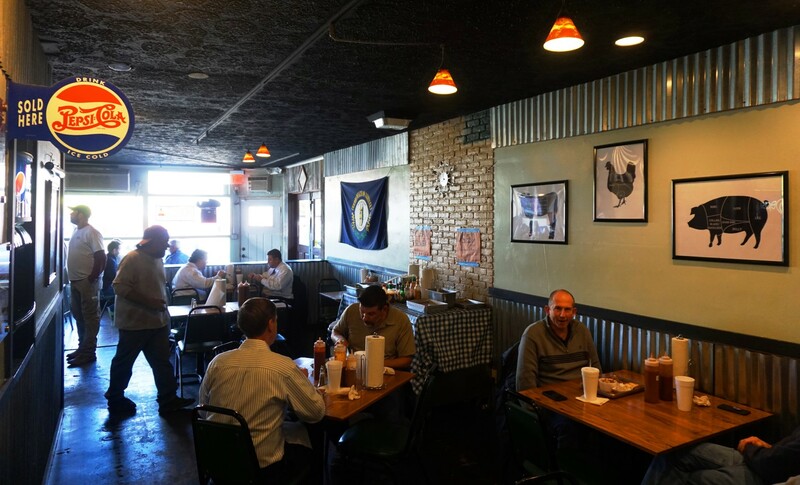 The restaurant is tiny, seating perhaps 20 people, and in following the Texas smokehouse tradition prepares a finite amount of meat-sells it til it’s gone-then heads to the house before returning to repeat the process the following day. 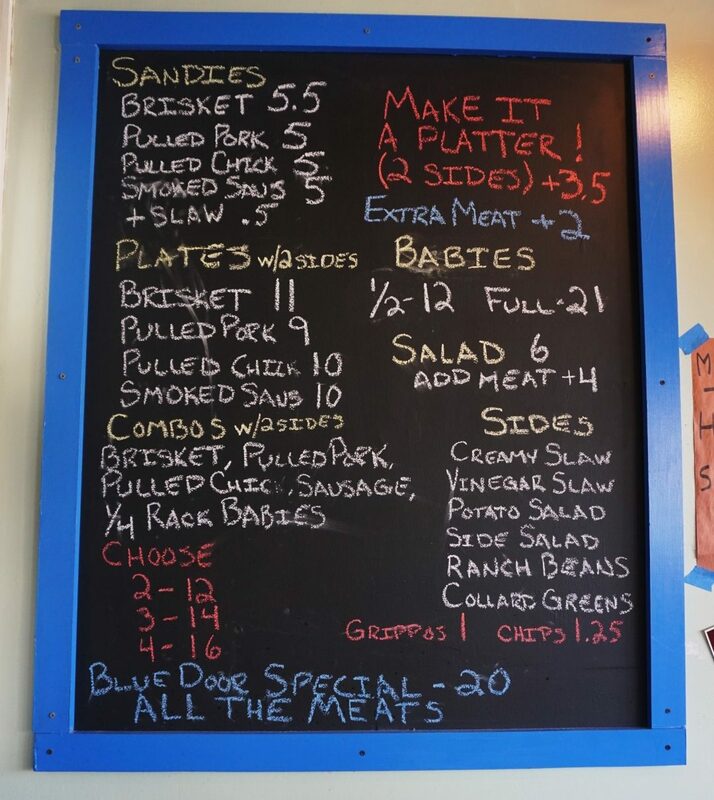 The buzz on this joint is deafening in Lexington and with good reason, Blue Door could open in Austin and make good money. The real heavyweights of Texas barbecue wouldn’t be caught dead running a Southern Pride gas oven to cook their meats. When you hit Louie Mueller Barbecue in Taylor, Micklethwait Craft Meats in Austin or Valentina’s Tex Mex in Manchaca walk around back and look at the massive stacks of seasoned oak wood. No propane tanks. Just big wood fires cooking stacks of briskets and ribs. There would be riots in the streets if Aaron Franklin installed a brace of Southern Pride ovens at his joint in East Austin. 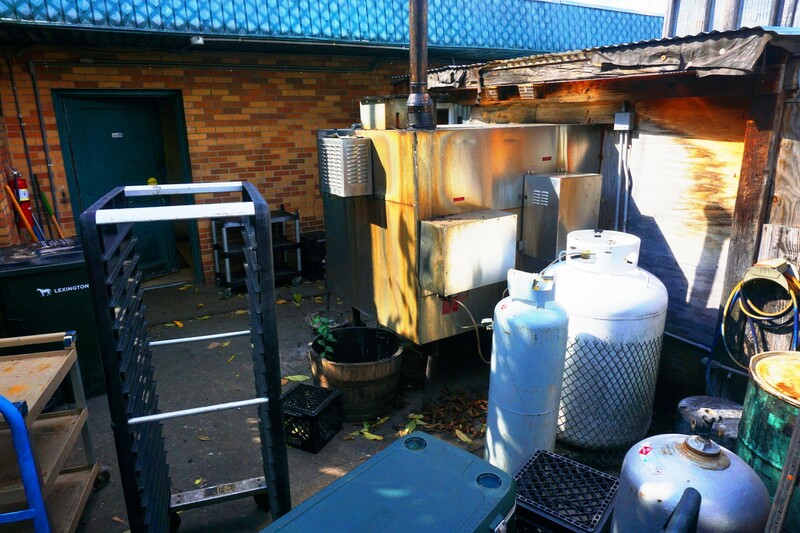 But does it matter that Kentucky-based Blue Door is running a big gas oven to help cook the meats? It depends on how die hard of a traditionalist you are. I have friends who refuse to eat from gas-burners, and most of the big chain barbecue outfits in Texas run Southern Prides or Old Hickory. That can alter a crusty old Texan’s lunch plans dramatically. The romance of barbecue is strong. I fall into a reverie whilst eating brisket and pork ribs at Blue Door. I imagine a snowy-headed old man out back in the middle of the night reading Jesse Stuart books, and hitting a flask of Heaven Hill Bottled in Bond whiskey while he slowly stokes the fire that’s cooking the meats. 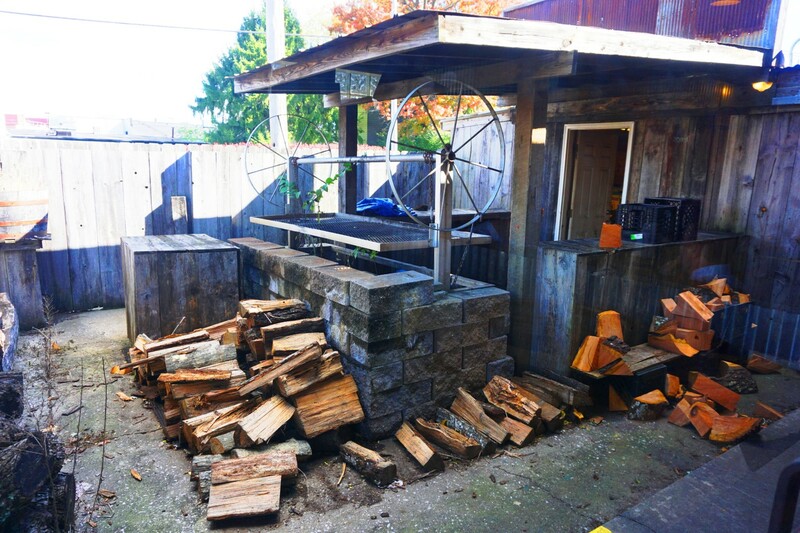 Dawn breaks and he boils up a an old Comet kettle of black coffee, rolls up a cigarette and sets to pulling the briskets, pork shoulders, and rib racks off the coals. That ain’t happening at Blue Door. The young cats running the joint inherited a Southern Pride cooker when they took over the building that houses their restaurant. I would imagine there was plenty spirited debate as to whether or not they were going to keep it or haul it off to the scrap metal yard. After all there are hundreds of Texas barbecue outfits running gas-assisted smokers. But if you want to really represent the Texas barbecue tradition y’all will have to trundle the Southern Pride off to Baker Iron and Metal, get what you can for it then get ready to start buying ricks of Kentucky hardwoods. 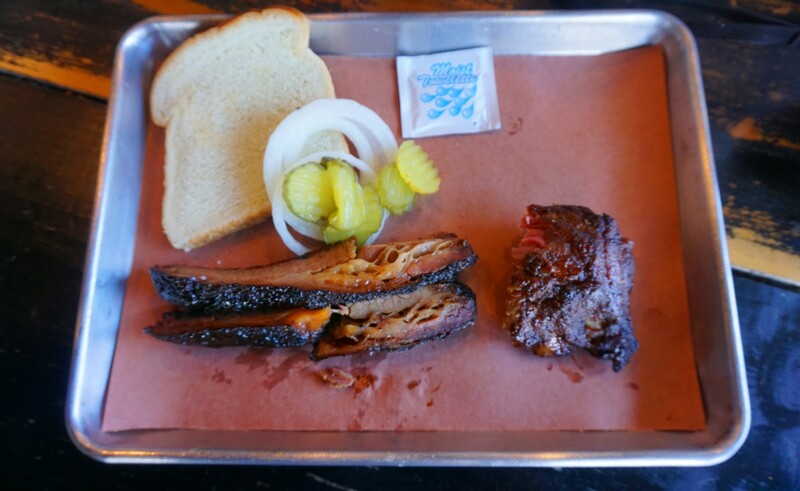 This entry was posted in FOOD, On The Road With RL Reeves Jr and tagged 859-252-4227, Blue Door Smokehouse 226 Walton Avenue Lexington, rl reeves jr. Bookmark the permalink.